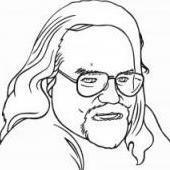 So I have started to look into engravig and was wondering how hard it is to make the gravers and what to make them from, so any ideas? Start reading - lots to learn. Good luck - it's a long row to hoe, but I find it very rewarding. Are you graving wood or metal? "The complete Modern Blacksmith" has info on forging gravers. For wood cuts garage door springs work well and for metal old files. If money is a problem and you are REALLY keen on trying engraving, then hammer and chisel is a fairly inexpensive way to give it a try. The only problem with H and C is it is a really LONG learning curve to get acceptable results in any kind of complex engraving. However, that said, there are some excellent shortcuts available today that will definitely help. The engraving world is full of horror stories of the grey beards' apprenticeships; "I wasn't allowed to do anything during the first (fill in the blank with a number) years except learn to hand sharpen a basic graver. I didn't engrave anything for the first 23 years, and they wouldn't let me touch a gun for another 35 years" yada yada yada. I believe that sharpening a graver and getting repeatable results is by far the most important, basic thing to learn, and there are some excellent sharpening devices available now that weren't available just a few years ago. They make sharpening a piece of cake. Or, you can make your own with a piece of mild steel rod, 1/8 inch hole drilled in the end, with an allen screw drilled and tapped crosswise to retain the 3/32 inch square graver. Round the end that you hammer on, and chamfer the end with the graver so you don't mar the work. Sand a flat side down the length so it won't roll off your bench and land on the point of the graver (absolutely gauranteed otherwise!). You'll also need an engraver's hammer, or at least a small ball peen. You can begin engraving on a piece of mild steel, brass or copper hot glued to a heavy, flat block of wood (say about 7" x 7" and two inches thick). If that doesn't dampen your enthusiasm, then purchase or begin assembling a pitch bowl. After that, an engraver's vise, and then the sky is the limit. An optivisor will be helpful. I use a stereo microscope. I suggest you don't skimp on the sharpening fixture and either the diamond bench stones or the drillpress setup. You WILL break MANY graver tips. Trying to hand sharpen without these aids can be done, but will be VEY, VERY FRUSTRATING! If you check out this thread on the Engraving Forum (http://www.engravingforum.com/showthread.php?t=2609&amp;highlight=networking), you can probably find an engraver near you to go visit. Most engravers are like blacksmiths on IForge Iron - friendly and helpful. A test drive and a little face time will go a long way towards answering your questions and encouraging you, and will shorten the learning curve dramatically. Good luck! Wow thanks for all the info! Looking at just the cost it might be a while before I can get started buying the equipment, but in the mean time I will read read read! Awesome stuff tho. Glad you posted this, I have been interested in engraving for a while but had no where to start. Thank you for the links, this will complete me. High carbon steels or tool steel alloys like O1,A2, or D2 should work good for gravers. Take a few worn out files ,and reshape them. Yes, you can dump a ton of $$$ into this , but to get started you can do it for a lot less. Make a couple of simple gravers, get some old scrap copper pipe, split a chunk lengthwise, flatten it out, and try it. Do not hold yourself back because you don't have the fancy tools. Practice on scrap till you feel comfortable, then decide if you want to start investing more into this hobby. That's great advise thanks. I always seem to get caught up in the fact that I don't have "all the tools" so I tend to get discouraged and almost talk myself out of things that I might REALY enjoy! Thanks to helping me put it into perspective. Don't get me wrong I make a good living but I am not rich so shelling out upwards of $500.00 for something I am not sure if I will REALY REALY enjoy is kind of hard you know what I mean. I just am looking to test the waters and who knows I may fall head over heals like I did with smithing .... But I can't thank you all enough for the wealth of knowledge and support you all show ! $500? This will cost a lot less than that. If you find you don't like engraving, you can probably recover at least half of your money by selling the stuff you bought on either the Engraver's Cafe or the Engraving Forum. And, finally, visit an engraver! Join the two forums (they're free, just like this one) and ask if there are any engravers in your area willing to let you visit. 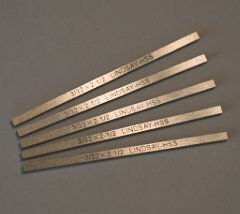 Sorry to turn this into a lecture, but it is the key to success in engraving. Best of luck! $89 for that fixture!? Holy Cow, I need to start making those at work. I use motorcycle valves, cut off the heads and you have a standard diameter and length high carbon blank. You can forge them for scoops and thin them to a very nice point. I have always wondered why gravers were made from HSS. I don't see why high speed steel would be superior for hand tool versus a plain carbon steel that can reach the same level of hardness. Red hardness is not a property needed for a graver. When using power sharpeners to shape gravers, HSS won't be damaged by heat build up like simple carbon steels will. So, yes, red hardness makes a difference. Also, HSS, carbide, carbalt, M42 (and a GRS brand carbide whose name escapes me at the moment) provide more reliable and better hardness than a hit-or-miss simple carbon steel hardening/tempering routine. Different alloy gravers provide better, smoother cuts on different kinds of metals. For instance, carbide alloy gravers cut silver and copper smoother and with a better finish than steel gravers, so the hardness of the workpiece isn't the only issue. 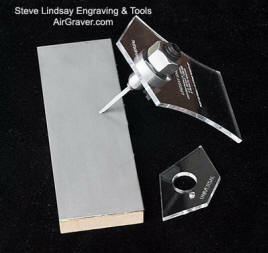 Most professional and serious hobby engravers use power sharpeners - time is money and enjoyment. In engraving, having reliable and repeatable hardness and sharpened cutting points means fewer slips and fewer broken tips which lead to slips, fewer slips mean fewer ruined engravings or mistakes to attempt to fix. 10 or 20 or 40 hours (or MANY more hours) into an engraving full of gold inlay (at $1600 per ounce), then having your poorly-sharpened homemade POS graver tip break and slip and ruin the work? All just to avoid buying a $6 HSS graver blank? It's bad enough using properly made and sharpened gravers. Believe me when I say you will need as many factors weighted in your favor as you can get. Engraving isn't an art where you can just toss it back into the forge and fix a missed hit or straighten it and try the bend again. Ill be honest I don't have the hand for engraving. 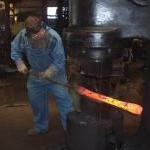 White smithing is a very different skill form engraving. I have tried engraving I am horrible at drawing and have very bad penmanship It felt very uncomfortable to me. I see your point about working with gold get the best tools possible because it is very expensive and time is money. Also M42 steel is the hardest steel there is so I could see some advantage to using that. But I still don't see why you would need HSS for a struck tool that is not cycling 3000 blows a Min. After all most files are plain carbon steel and they cut for extended amounts of time. A file tooth is cutting steel in a very similar fashion to how a small chisel or graver works. Plain carbon steel is not unpredictable to harden It is quite predictable and reliable and easy to work. I made hundreds of tools out of plane carbon steel that I have sold and used my self. When ever there was a problem it was with my workmanship not any problem with the steel. HSS steel was developed for machining steel at higher feeds and speeds than what was possible with simpler steels. 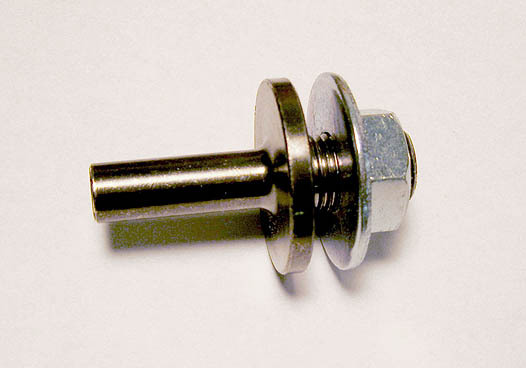 Later carbide mostly replaced HSS. The heat treatment of these kinds of steels is more complex than plane carbon steels and not easy to do in a small shop. I see my self doing work rough work with a hammer and chisel. I don't think I would ever be able to get professional level results my hands wont go there. Filing is a whole other game super fine motor control in not a prerequisite to doing a good job. I have made very sharp small chisles out of 1070 and W1 steel that I have used to carve wrought iron for extend periods of time. Ever once in a wile I sharpen them up on a oil stone. I temper them straw and they seem to work well. I have never had a tip break. You're missing the point of the HSS. The benefit of HSS isn't so much in the using, it's in the sharpening and not ruining the temper due to heat build-up from a rotating diamond disk. The point of a graver is a tiny thing, it doesn't take much heat to ruin the temper. It is not a cold chisel. Plus, HSS comes ready to use - you don't do any heat treatment. 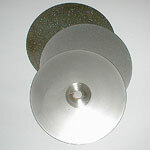 There are lots of ways to make and sharpen a graver. Some of the best engravers could sharpen a nail on the sidewalk and create a masterpiece. What I have tried to do here (apparently unsuccessfully) is show the simplest, most inexpensive but also foolproof method of doing the one thing in engraving you MUST do well to be successful. If you feel you simply have to strike out on your own to rediscover fire and reinvent the wheel, knock yourself out. I prefer to engrave rather than do R&D. For those of us, including myself, who are not adept at engraving, there is chasing to be learned. I have a small collection of Mexican chest hardware which shows some nice chased workmanship. The photos will give you an idea of the possibilities. Along with the chased work is some nice edge-filing and openwork. The tsuba makers of Japan did incredibe, small-scale carving on their work using 'chisels' and small hammers. Some contemporary workers, not necessarily Japanese, are emulating their techniques. See followingtheironbrush.org. You're welcome, Sam. I hope this info is helpful. I've been musing about making a tutorial using the methods I've described here and oriented towards SIMPLE engraving for bladesmiths (like decorative transitions from ricasso to blade), if there is enough interest. Since it would be oriented towards bladesmithing, I'd probably host it over on Bladesmith's Forum, but the techniques would have potential for any metal art. Sam, I was just looking at your steel skull avatar (readers, see the avatar in the post above this one) - that would be a perfect example useful for SIMPLE engraving if it was the size of a quarter ($0.25 coin) or smaller, engraving the eyes, nose, teeth, or even the outlines if it was on a non-skull shaped piece of metal. That's the level of detail I'm talking about for SIMPLE engraving...and making simple versions of the tools and holding fixtures needed, with PURCHASED sharpening items and graver blanks. At least that would tell a guy if he/she has sufficient interest to continue on along a much longer and more disciplined path (and more expensive). I am sure we'd all benefit from your demo. I know I would be interested as well. Please remember also that for everyone who posts on any given forum, there are about 50 folk who agree but remain silent. So you've got at least 200 interested parites.